Some pictures from the Swap. 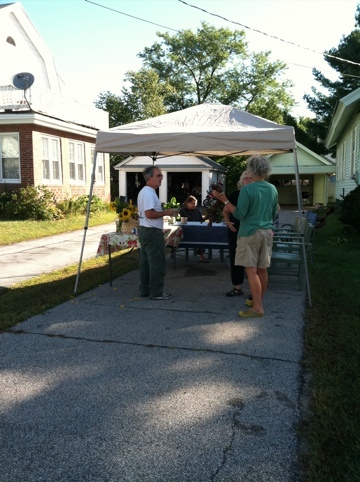 We were able to give a TON of produce to refugee families at the Merrimack County Day Care. Thank you to Judy Dickinson for organizing the swap and to Cheryl Bourassa for connecting us with the Day Care. 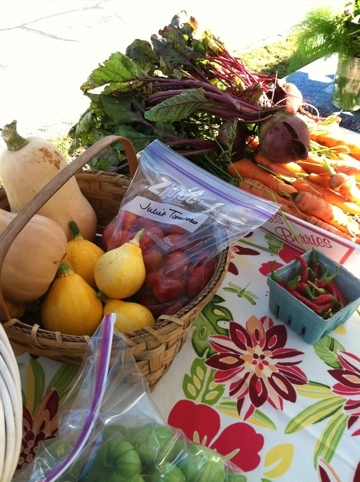 Thank you also to all the gardeners who brought by their extra produce. No one went home empty handed yet we were still able to make a hefty donation to needy families. 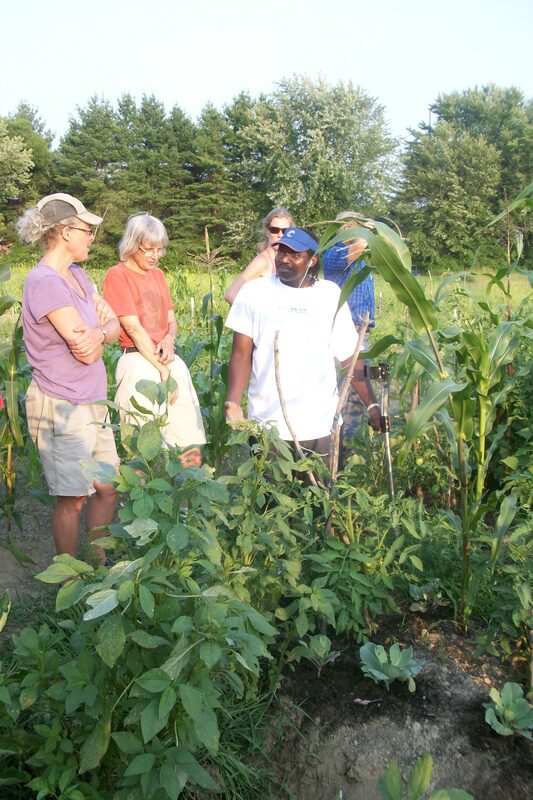 In spite of the wicked heat wave, intrepid gardeners ventured out to tour the Sycamore Community Gardens in Concord, NH located on the campus of the New Hampshire Technical Institute (NHTI). Cheryl Bourassa, garden manager of the Sycamore Community Garden Project, gave us a tour of the gardens and introduced us to some of the gardeners working in the garden that evening. Capital City Organic Gardeners gather for the annual garden tour at Sycamore Community Gardens. A gardener from Barundi shares his knowledge with the group. The garden plots are rented out to 120 low income families, the vast majority of which are refugees from Bhutan. There are also immigrants from Somalia, Sudan, Republic of Congo, Iraq and Burundi. A few plots are open to NHTI employees as well as master gardeners who volunteer at the garden. The gardens are uniquely designed to serve low income families, with tools, water and compost on site. They also work to provide free seeds and seedlings in the spring. 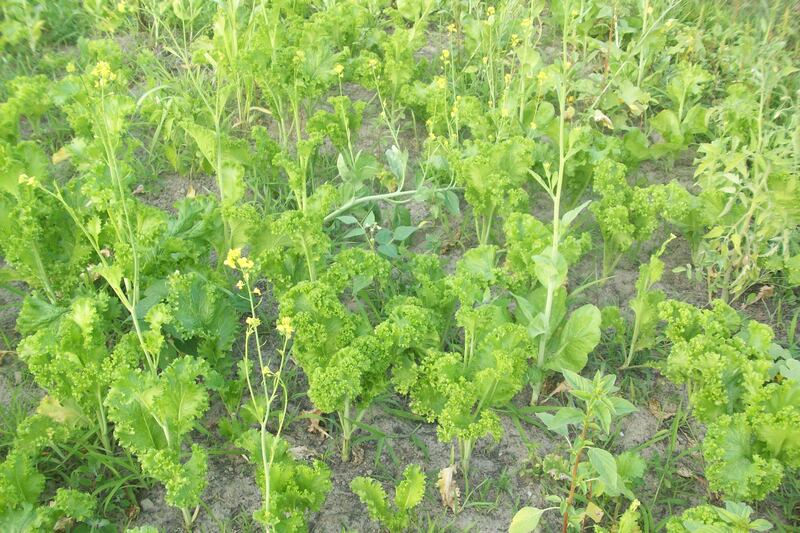 Greens, especially mustard and spinach varieties, are the mainstay of most of the gardens. The gardeners plant crops in succession and let some of them bolt to reseed the plots. In addition to eating the greens fresh, they also ferment the mustard and then dry it for use in the winter to add to their soups and stews. Tomatoes interplanted with flint corn. 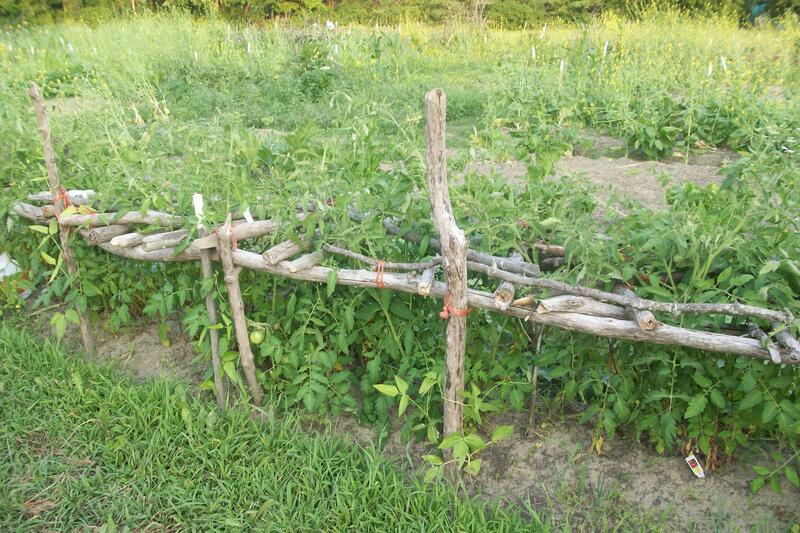 Tomatoes interplanted with flint corn don’t require tomato cages. 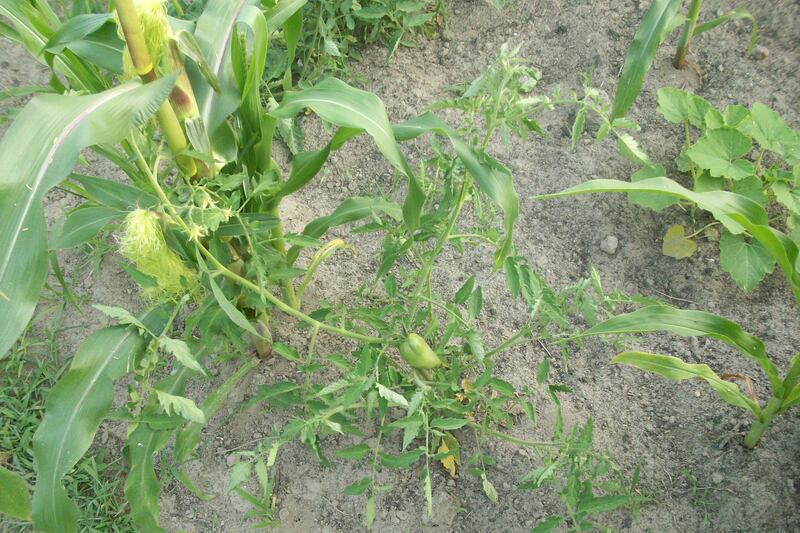 As the tomatoes grow, the corn supports the plants. In fact, there was scant evidence of any structures purchased from a store. The gardeners made do with natural materials scavenged from the forest. Weeds were pulled, left to dry and then thrown into the paths or on top of the garden as a mulch. Nothing is wasted. A clever and beautiful tomato cage created from sticks lashed together. The plants grow up through the lattice created on the top and are nicely supported. The gardeners shared their plant wisdom showing us a variety of spinach that was “medicine for your eyes” and explaining that a tiny pinch of rosemary added to warm milk was “very nice and good for your appetite”. A Somali woman shares her recipe for making curry. It’s clear that the gardeners were thrilled to have a small plot of land in which to grow the foods that they loved. Most of the refugees live in apartments and have no yards of their own in which to plant a garden. 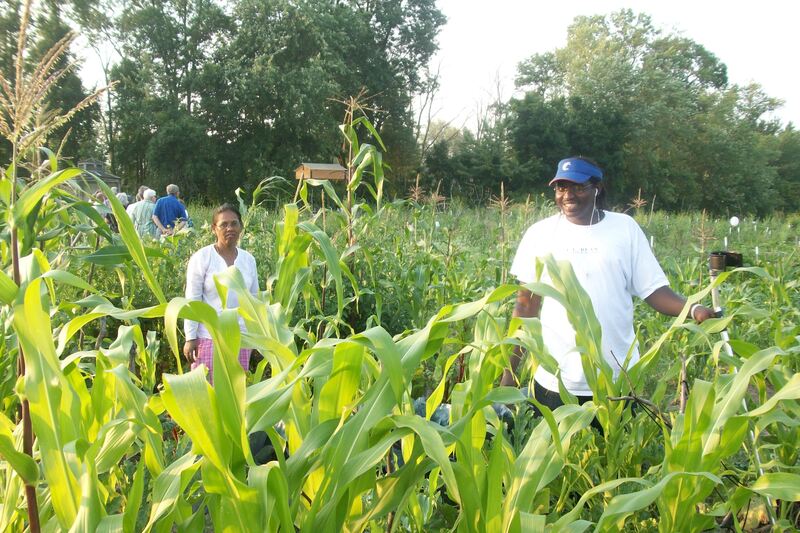 They enjoy coming out with their families to tend their plots and let their children run free. Life here for the refugees is not easy and they face enormous challenges once they arrive in the United States. 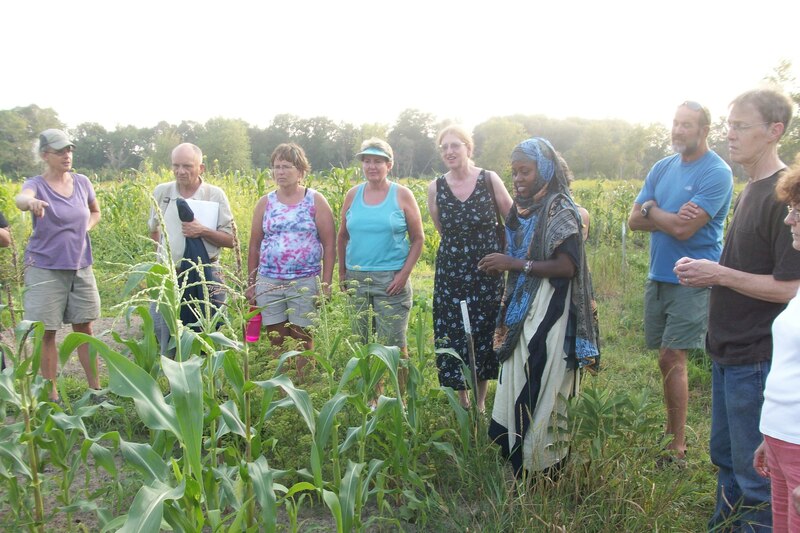 One of the refugees shared her story with Cheryl Bourassa and told her that during her first two years in the U.S., she felt like she was dying because she had no garden or connection the earth. 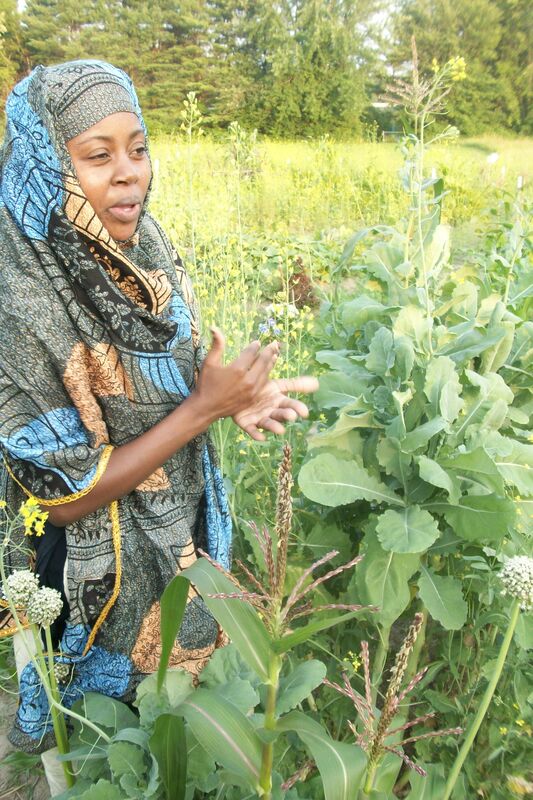 Tending her garden has made a world of difference in her life and has made her very happy. “It’s incredibly difficult work keeping this garden going, but seeing how happy it makes all of the families makes it all worth it.” smiles Cheryl. A happy couple in their garden. The Sycamore Community Garden Project is happy to accept donations of seeds and seedlings along with gently used garden tools. Cash donations are also greatly appreciated. 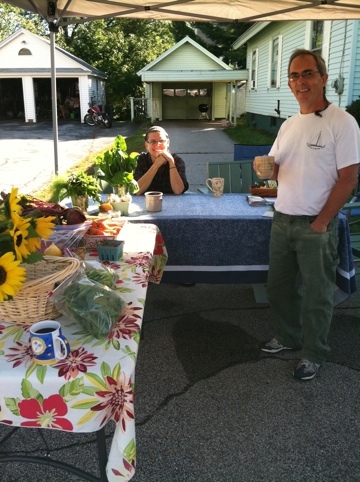 You can learn more about the Project at sycamorecommunitygardenproject.blogspot.com or e-mail Cheryl Bourassa at cbour59@yahoo.com. 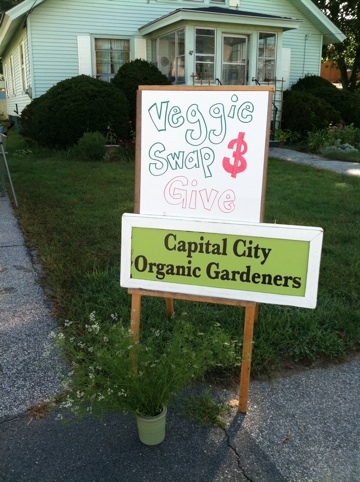 Capital City Organic Gardeners (CCOG) announced today that it will form a feasibility committee to establish an agricultural commission in the City of Concord. CCOG was selected by the Central New Hampshire Regional Planning Commission to receive a technical assistance grant, provided with support of the Community Technical Assistance Program (CTAP), which provides support and technical assistance to the 26 communities impacted by the I-93 improvements project. The recent City of Concord Master Plan 2030 details several important agriculture-related goals for the City, which Morrison hopes this effort will support. The city currently has 1991 acres in agricultural use (using 2005 data) and the Master Plan articulates the need for preserving both the rural character of the City’s open spaces and its prime agricultural soils. “Ultimately, an agricultural commission would advise City boards on the needs of the agricultural community, in order to ensure that these goals are met,” said Morrison. Enabled by New Hampshire RSA 674:44-e, communities may establish agricultural commissions “for the proper recognition, promotion, enhancement, encouragement, use, management, and protection of agriculture and agricultural resources, tangible or intangible, that are valued for their economic, aesthetic, cultural, historic, or community significance within their natural, built, or cultural contexts. The purpose of an agricultural commission is to protect farmland, support the local agricultural economy, preserve rural character and promote local agriculture to community members and visitors. Agricultural commissions are advisory only in nature, and do not have a regulatory role. Rather, they are the ambassadors of the farming community, acting as educators, advisors and promoters to help keep agriculture viable in New Hampshire. At this time, there are 14 agricultural commissions in New Hampshire towns; if Concord forms one, it will be the first city agricultural commission in New Hampshire. Any farmers or other individuals with an interest in agriculture in Concord should e-mail eleanor.baron@gmail.com for further information and to participate in an informal discussion about next steps. Extra seed or seedlings? 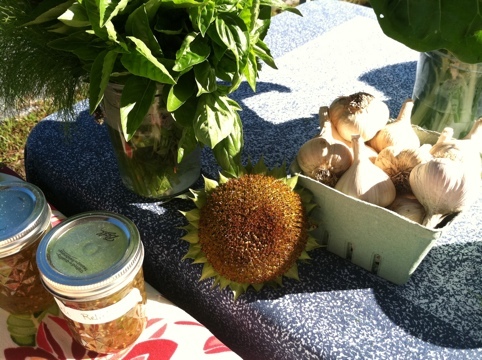 Sycamore Gardens needs your help! Posted on May 9, 2010 | Comments Off on Extra seed or seedlings? Sycamore Gardens needs your help! Extra seeds? Make a donation! 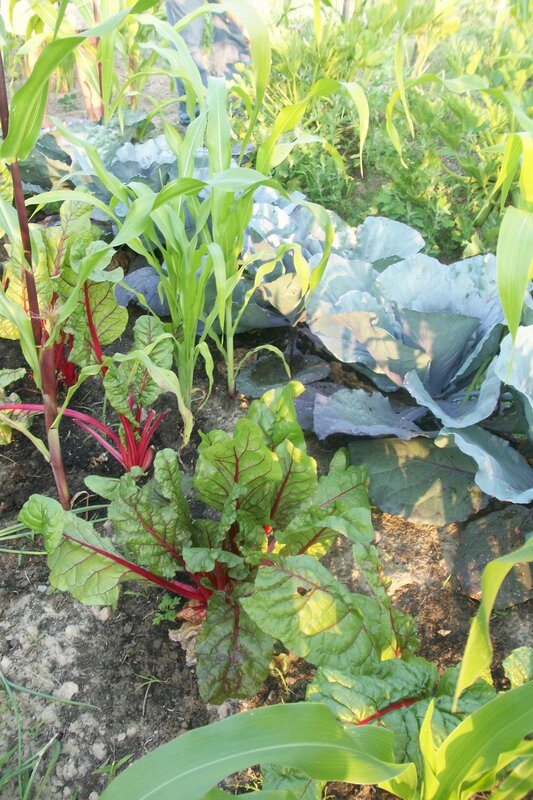 The Sycamore Community Gardens at NHTI have 108 gardens available, most are reserved for families with limited incomes. The majority of the gardeners are refugees with extremely limited incomes and they need your help. 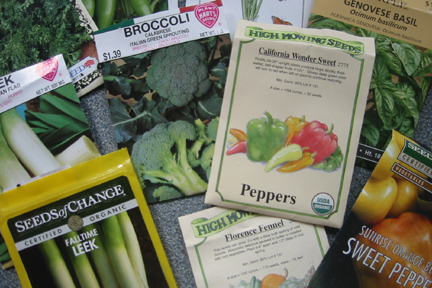 If you would like to make a donation of either seeds or seedlings, they can be dropped off at the NHTI library; bring seedlings that require warmer weather for successful planting after Memorial Day. The registration cost for a garden is $10. Consider underwriting the cost of a garden plot for a family who might not be able to afford the fee. Checks can be made out to the United Way of Merrimack County, with Sycamore Garden on the memo line, and sent to the United Way of Merrimack County, 46 S. Main Street, Concord 03301. If you or someone you know is interested in a plot, or if you would like to help in any other way, please contact Cheryl Bourassa at cbour59@yahoo.com. Comments Off on Extra seed or seedlings? Sycamore Gardens needs your help!